Nationally Recognized as a Provider of Driver Helpful® DOT Physical Exams! Get your next DOT Physical Exam at our Truck Driver Helpful and convenient clinic located in Saint Peters, Missouri. Need your DOT Physical Exam Today? We know your time is valuable! Three of our doctors are Certified to perform the DOT Physical Exam so we can get you in and out with your Medical Examiner’s Certificate in hand quicker than most offices. With her extensive knowledge of the DOT Physical exam medical guidelines, let Dr. Wiemann steer you through the DOT physical exam requirements so you can Keep on Truckin’. For drivers suffering from chronic pain, whiplash, female issues, weight management and even co-treatment of oncology conditions, we have 8 Chiropractic Physicians ready to help with chiropractic and acupuncture treatment. Looking for a DOT Physical Exam, CDL Physical Exam, or a School Bus Physical in Saint Peters, Missouri? You’ve come to the right place! Dr. Jenny Crosby attended the University of Guelph where in 1987 she received a bachelors degree in Human Kinetics, (the study of human biomechanics). She then pursued her post graduate training at Logan College of Chiropractic (now Logan University) in 1991, where she received her Doctor of Chiropractic degree and her postgraduate certification in acupuncture. Dr. Crosby was very active at Logan, for assisting in the formation of the Canadian Student Club, and two student scholarship funds. 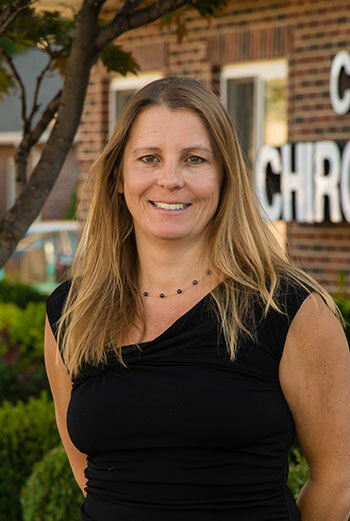 She has beenl a member of the American Chiropractic Association since her student days at Logan and is a member of the Missouri Chiropractic Association. After working as an associate for four years in Ellisville, Missouri, Dr. Crosby founded Crosby Chiropractic and Acupuncture Centre in late 1995. .Dr. Crosby constantly strives to improve and update her knowledge in the field of chiropractic. She has completed extensive post-graduate study in acupuncture emphasizing areas of study such as female issues, chronic pain and/or musculoskeletal issues, and co-treatment of oncology patients, she has advanced certification in whiplash and brain traumatology through Dr Arthur Crofts Spine Research Institute and she is an certified medical examiner for the Department of Transportation, receiving her certification in January of 2013. Dr Crosby has always enjoyed teaching, and has taught for Gibson Management Consultants and the Missouri State Chiropractic Association. She has written articles for the St Charles Women's journal and the St Louis Health and Wellness Magazine. More recently she was contributing articles to Brican, a patient education media used in offices in the USA and Canada.